Hopefully to make life a little simpler we have put together a little guide about wedding stationery and what it means. You don't have to send or have all of these for your big day but if you can't go all out when getting hitched when can you hey?! It's your day so my advice is to incorporate you and your partners style into the design. A theme is essential and helps hugely as you have a intention and outline for all the bits and pieces needed. Save the Dates - This is essentially a pre-invitation- you are asking people to reserve this date and not to make any other plans. It is sent to guests pretty much as soon as a wedding date is set. You don't have to include any other information apart from the actual wedding date but really thats up to you- sometimes people may put a vague idea of location but that's usually only if you are getting married aboard or you think guests may need to make special travel arrangements in advance. Day invites - These are the main invitations for guests who will be attending the full day- typically some sort of wedding ceremony and then wedding breakfast and or reception. Obviously every wedding is different but usually the day invites indicate that the guest or guests are there from the beginning till the end of the event. Essential information included would be date, location/locations and times. Other information added usually depends on the type of wedding you are having and/or the budget. For example if you are on a limited budget you may want to fit extra bits of instructions on the main part to save on cost- however beware as you don't want the page to look too cluttered. Your stationer/designer are always happy to advice on this though. Reception/evening invites - This is usually in the same style as the day invites but just with a change of time and location (if applicable) Typically given to guests who are just attending the evening celebrations. A little handy tip: Send out your day invites before your evening ones. That way you can see if you receive any regrets and upgrade some of the evening guests to day guest if needed! RSVP's - This card is basically your way of asking a potential guest to "please response" It is essential to know how many guests will be coming to your wedding as a lot of planning and time is spend on table plans, seats, meals etc. The RSVP can also be a way of getting extra information from your guests if you feel this is necessary (such as food allergies/preferences) Some couples even ask for people to include a song of their choice on a RSVP. Info card - This can basically include as much or as little as you want. It's your way of letting your guests know the answers to any questions they may have. The majority of couples add details about presents such as if you have a wedding list, if you prefer monetary gifts or charitable donations. Also guidelines such as whether children will be present, when or if photography is permitted and the all important dress code! The important information may vary from couple to couple but you will know what you want at your wedding and this is a good way of letting people know. If you are wanting to save on budget the accommodation and direction details can also be included in this section. Map/Accommodation information (direction information)- This part of the invitations can be essential for family and friends who are from out of town or if you are at a venue that isn't the easiest to find! A good map with a detailed address including postcode along with taxi numbers/public transport details are usually needed. Envelopes - If you are including a paper RSVP don't forget to include envelopes for your guests. Order of service- This is usually a booklet for the guests so they can follow the order in which the ceremony will flow. It isn't necessarily just for religious ceremonies but for civil ones too. You can include any speeches or hymns you are having in your ceremony if applicable. They can be lovely keepsake for friends and family as well. Table numbers- These are positioned on each table and are used in conjunction with the table plan (see below) You can really use your imagination and inject some personality into this by instead of using numbers maybe name each table after a place or person that means something to you and your partner e.g places you have visited, where you met, first date etc. Table Plan- If you are having a sit down meal at your reception a table plan is a must especially if you are having a large number of guests. This just helps to organise the day and make things run a little smoother. The design can be incorporated into your theme and also follow the style of your wedding invitation stationery. Wedding favours- Essentially these are little presents and expression of gratitude for your guests. Traditionally left at their place setting. Sugared almonds respresenting health, wealth, happiness, long life and fertility. Nowadays wedding favours tend to represent the couples taste, personality and budget. 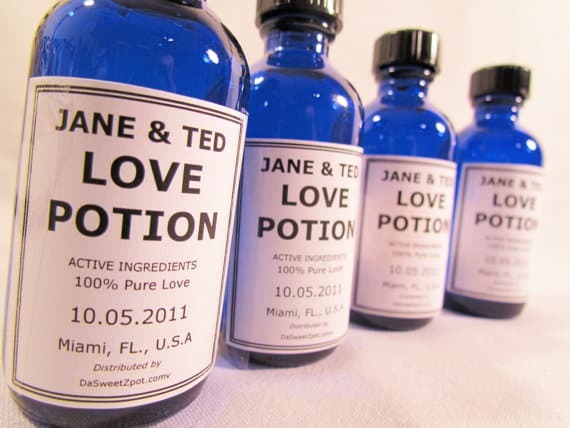 Check out this article here for more original wedding favour ideas. Wedding book/guest book/photo book- If you do love a little keepsake this is a must for you. It allows your guests to offer words of wisdom, silly photos, their memories as you as a couple etc. Personalised books are lovely and make it that little bit more extra special. Usually kept on a side table guests are encouraged to sign this at there leisure. Menus- Usually displaying food and drink available at the wedding breakfast. If meals have been chosen in advance they aren't really necessary but a lot of people like to have at least one physical copy on the table. Coasters- Something that is seeming very of the moment in recent weddings is the use of personalised coasters. A great momento for guests to treasure as well as being useful on the day. Caketopper- As suggested this is something to go on the top of your cake! A design of your choice (imagery or wording) can be cut from a variety of different materials such as wood or perspex and colour customised to suit. Very popular at the moment. Thank you cards- To thank guest for attending and making your wedding day one of the most special of your life so far. The design can be personalised to incorporate the theme of your invitations and on the day stationery. Remember you don't have to have every single one of these items to make a wedding. The most important thing is always to have the people you love around you and for you and your partner to be totally happy! A lot of couples pick and choose stationery to suit there theme and character. Also it's a lovely keepsake to have one extra of everything made and keep them to look at when your old and grey! One last tip- get your photographer to take some product shots of your stationery too.